Name the Brand: $47 million annually; 52 workdays. How? If you liked this show, you should follow Dr Arlene Barro. On the WIN Without Competing! 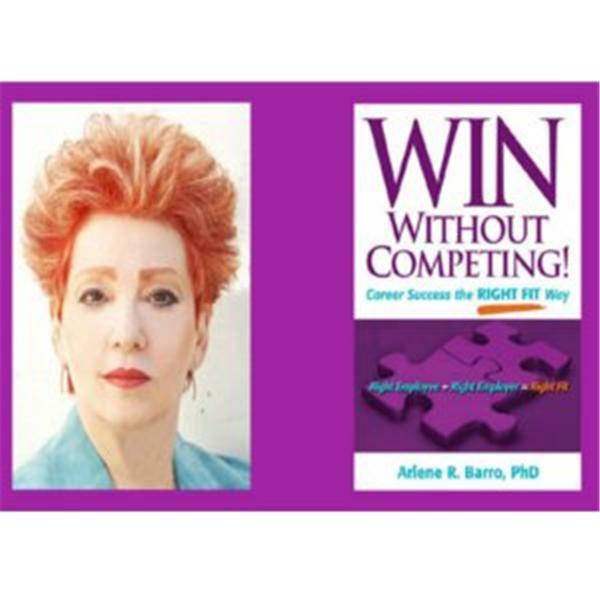 show Dr. Arlene reveals the television personality who earns $47 million annually and only works 52 days; a fascinating person with an intriguing brand. This name brand’s success is not accidental. The creation, orchestration, and implementation of this brand would make a compelling case study in business schools. This name brand is a WIN Without Competing! person, who naturally uses Dr. Arlene’s Right Fit Method. Listen to episode 96 of Dr. Arlene’s radio show and discover how you can become a fascinating person with an intriguing brand. Unparalleled Success is waiting for YOU! After holding high-level healthcare executive positions and making significant innovative contributions with global impact, Dr. Arlene entered the world of executive search and tested her Right Fit Method. She was setting the stage to become an entrepreneur. In 2003, Dr. Arlene, creator of the Right Fit Method and Right Fit Branding Strategies, founded barro global search, inc. a retained executive search firm, to design innovative search solutions for corporate clients. After her book WIN Without Competing! was published, Dr. Arlene expanded the services of the firm, which now has three divisions. Dr. Arlene, a behavioral educational psychologist, is a UCLA-trained PhD with distinction for her doctoral dissertation on creativity. Innovation, Contribution, and Impact characterize her career.